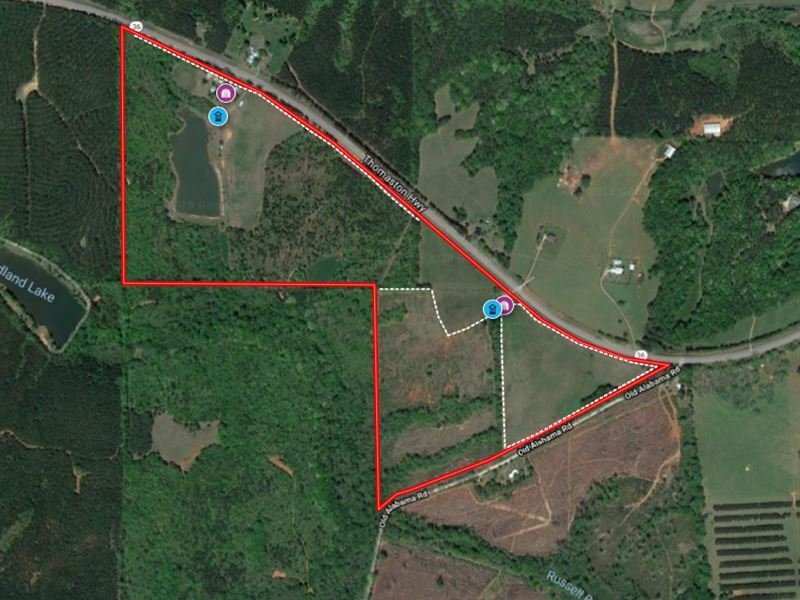 A great farm is available in Talbot County located near Woodland, GA. The property has a couple of barns with power and 2 wells. The property has several pastures with fencing and is use as a cattle farm. Suitable for cattle and horses. There is +- 5,040 ft of frontage along Hwy 36 and frontage also a dirt county road aka Higginbotham Dairy Road. The property has several food plots and offers some great deer and turkey hunting. There is a stocked 4.85 acre pond. This is one of the best properties or small farm in the county available for sale. The buyer must keep the property in CUVA.